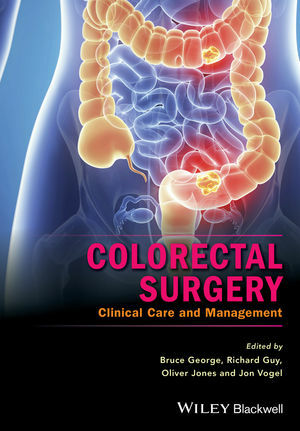 Using a case-based approach, Colorectal Surgery: Clinical Care and Management provides practical, clinical and expert guidance to illustrate the best care and clinical management of patients requiring colorectal surgery for colorectal disease. Real-life cases illustrate the entire syllabus of GI/colorectal surgery, being specially selected to highlight topical or controversial aspects of colorectal care. Cases have a consistent approach throughout and as well as outlining the actual management of each individual case, also offer an honest appraisal of the chosen management route, its successes and areas that could have been managed differently. Pedagogic features such as learning and decision points boxes aid rapid understanding/learning, enabling the reader to improve their patient management. In full colour and containing over 100 outstanding clinical photos and slides to support the cases, each section also covers recent developments/ landmark papers/ scoring systems and a thorough discussion of clinical management based on the major society guidelines from NICE, ASCRS and ECCO. Reliable, well-written and perfect for consultation in the clinical setting, Colorectal Surgery: Modern Clinical Care and Management is the perfect tool for all members of the multi-disciplinary team managing patients suffering from colorectal disease, specifically GI surgeons, gastroenterologists, oncologists and general surgeons.